Food for thought – Comedy or Tragedy? Fall is officially here, and so is squash season. I, personally, can think of no more soul-satisfying meal than a hot, creamy bowl of butternut squash soup on a chilly fall day. Best of all, the bulk of the work in making this soup it is waiting for the squash to roast. All that downtime is perfect for getting a little writing done. After cutting the squash lengthwise and scooping out the seeds and stringy pulp, rub the exposed flesh with olive oil, sprinkle with cayenne pepper (just a tiny bit!) and salt, and drizzle with maple syrup. Place the squash on a roasting sheet or in a roasting pan and lay 1 strip of bacon on each of the squash (reserve the other 4 strips). Roast for 1 hour in a 400 degree oven, or until the squash is fork tender. If using cubed squash, toss the squash in a oven-proof dish with the olive oil, cayenne, salt, and maple syrup and lay all the bacon on top of the squash. Roast as directed. Once the squash is tender, scoop out the flesh, discard the bacon strips, and puree the squash and any juices in a blender. Add a little water as needed. The final result should be a very smooth, very thick (think baby-food consistency) puree. Transfer the puree to a pot and bring to a low simmer, adding water, salt, the heavy cream, and maple syrup as needed to adjust the thickness (my preference is for a thick soup that coats the spoon but is pourable) and seasoning. If the soup tastes a little flat, more salt is probably needed. Meanwhile, cut the remaining bacon into a fine dice (quick tip: freeze the remaining bacon strips — they are easier to cut if frozen) and fry them until crispy. Remove the bacon from the pan, but reserve the drippings. Coarsely chop the sage leaves and fry them in the reserved bacon fat until they are crispy as well. Drain the fried sage and bacon on paper towels and set aside. Once the soup is the desired consistency and flavor, spoon it into serving bowls. Top each bowl with a dollop of either mascarpone (for a creamy/sweeter flavor) or creme fraiche (for a tangier flavor) and sprinkle with a little of the fried sage and bacon. Homemade granola may be the perfect food — sweet, salty, crunchy, fruity, and healthy (though not, alas, low calorie). It’s also relatively simple to prepare, more a concept than a recipe. This is nourish-the-writer-brain food and makes a saliva-inducing start to the day or a good energy boost in the afternoon. My favorite kind of granola (and the “recipe” I share here) is one with lots of seeds and nuts in it. I don’t give quantities because this is a fluid recipe — add as much or as little of your favorite ingredients. You will need access to a good bulk-food section or health food store for some ingredients. Start with an assortment of seeds and nuts – I use pumpkin seeds, sesame seeds, sunflower seeds, flax seeds, macadamia nuts, hazelnuts, almonds, and cashews – but you can add or omit whatever you like. Mix in proportions that prioritize your favorites. Mix the seeds and nuts with oats and puffed rice to give the granola some body. Prepare a dressing of 1/2 cup canola oil, 2 tbs good quality maple syrup, 1/4 cup honey, 1 tsp vanilla extract, and a pinch of salt. Whisk this together and pour it over the nut, seed, and grain mixture. Stir well to coat everything. If you’ve really made a big batch of granola, you might need to double the dressing. The mixture should be damp, but not dripping. Preheat the oven to 325 degrees. Turn the granola mixture out onto baking sheets, spreading thinly and evenly. Bake the granola for 30-40 minutes, stirring every 10 minutes until well toasted, crispy and golden. It’s important to set a timer and stir regularly so the toasting is even and nothing burns. Use the time between stirs for writing sprints on your current novel or short story project. Once the granola is well toasted, turn it all into a large bowl and mix with the dried fruit of your choice. I usually include dried cranberries and dried golden raisins, but you can put in whatever you prefer. The best way to serve this granola is on top of some good plain yogurt with a drizzle of honey. It’s a rainy spring Sunday and I’ve decided there’s no better way to embrace my inner-sunshine than to bake a simple, gorgeous lemon tart. The work involved is minimal for such a sumptuous and impressive desert. Best of all, you can fill the hour or so you’ll need to wait before eating the tart with some writing time. 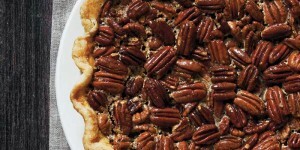 First, you need to make a pastry crust. This sounds intimidating, but the crust here is very resilient and hard to mess up. Start by cutting 1/4 cup of cold unsalted butter into pieces. Place them in a bowl and sift 1/4 cup powdered confectioners sugar over them. Add 1 1/2 TBS of finely ground macadamia nuts (or almonds, if you prefer). You can pulverize the nuts in a baggie with a mallet, or use a nut/spice grinder. To this, add 1/4 tsp sea salt and sift in 2 TBS of flour (you’ll need 3/4 cup flour in total, so measure out the full amount and then sift in just 2 TBS of it). Work this mixture with a pastry paddle, a spoon, or your fingers. The goal is to get the dry ingredients well integrated into the butter. Don’t worry if it looks a mess. Once it’s mixed, sift the rest of the flour in and add 1 egg yolk (separate and discard the white) and 3 1/2 TBS olive oil (if you can’t get an AOC Nice oil, select something light and mild). Mix this all together with a fork. It’ll be quite wet. You may even want to put the bowl in the fridge for 10 minutes or so to stiffen the dough up before you work it into the tart pan. Plop that dough out into the tart pan (you’ll need a 9 1/2 inch one with a removable bottom) and, using your fingers, work it until it thinly covers the entire bottom and sides. You want this to be thin – such that you can almost see the tart pan through the dough. Pay special attention to the corners. The dough on the sides will sink slightly while the tart bakes, so make sure you get the corners extra thin to start. If the dough gets too soft to work with, just toss the whole thing in the fridge a few minutes to firm it up. Scrap the excess dough off and discard. Bake the tart shell in the oven at 425 degrees for about 10 minutes. Watch it carefully near the end so it doesn’t burn. You want a nice, golden brown color. Set the shell aside to cool while you prepare the filling. 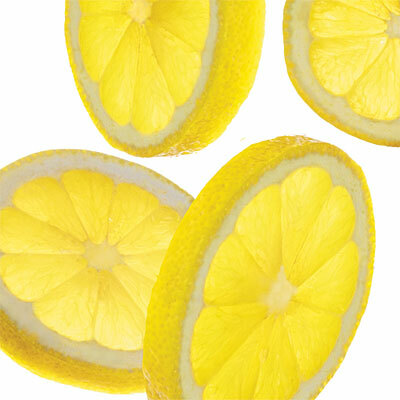 For the filling, begin with 3 plump lemons. Roll them on the counter before you juice them (this helps release the goodness within). Squeeze the juice into a bowl, discarding any seeds. Before cutting and juicing the final lemon, use a microplane grater to zest 1 lemon. You can add the zest right into the bowl with the juice. In a small pot, crack 2 whole eggs and 2 egg yolks (separated from the whites; whites discarded). Whisk these together with 3/4 cup of granulated sugar. Whisk in the lemon juice and lemon zest and sift 2 tsp of cornstarch over the mixture. Whisk the entire mixture over medium low heat until it thickens. The idea is to keep whisking constantly so the lemon curd aerates. Once the mixture is fairly thick, remove it from the heat and whisk in 4 TBS of unsalted butter. Then whisk in 2 TBS olive oil, the same type you used for the crust. After you’ve achieved at least a couple hundred words, or can wait no longer, whip a little lightly sweetened cream. Cut the tart and serve with a dollop of cream. Yes, seriously. 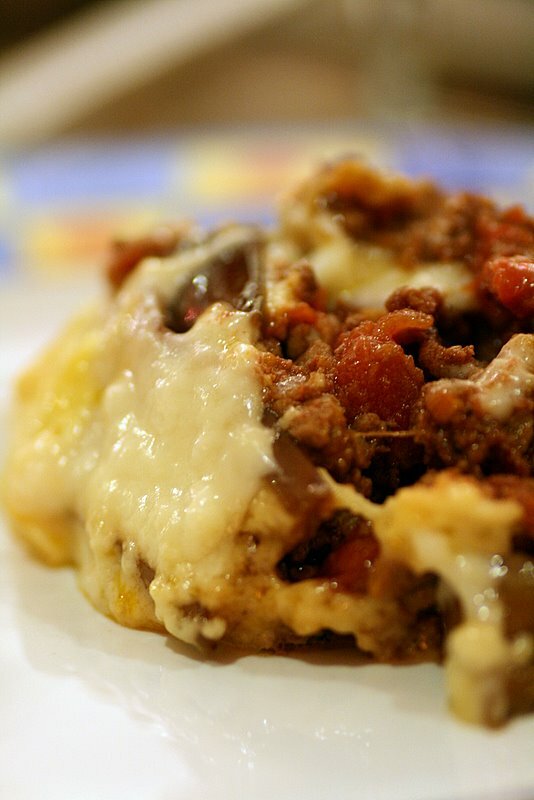 This recipe produces the world’s best lasagna. Try it. I dare you. Okay. It’s a sleepy Saturday and you’ve got a dilemma. There’s writing to get done, but you’ve also got people coming over for dinner. This is the perfect dish to prepare because it allows time to write (about an hour and a half while the ragu is reducing to a melty puddle of animal goodness) and results in a soul satisfying meal. This recipe is loosely adapted from Mario Batali’s cookbook “Molto Italiano” and is in the style of a Lasagna al Forno. Serves 6. Total cooking time about 2 1/2 – 3 hours (but worth every second, I swear!). To make the ragu: pour about 1 Tbs olive oil in a large pot and heat on medium high. Add the diced onion, celery, carrot, and garlic and saute until translucent but not brown (about 5 minutes). Increase heat to high. Add the sausage, pancetta, and ground beef. Stir and break up clumps with your spoon until the meat is browned. Add the tomato paste, diced tomatoes, water (or wine), and milk. Stir well to incorporate. Add the thyme. Bring the mixture to a low boil and then cover and reduce heat. Let the ragu simmer, stirring occasionally, for about an hour and a half. Taste the sauce and adjust the seasonings by adding salt and pepper as needed. While the ragu cooks, sneak to your office and get some writing done! 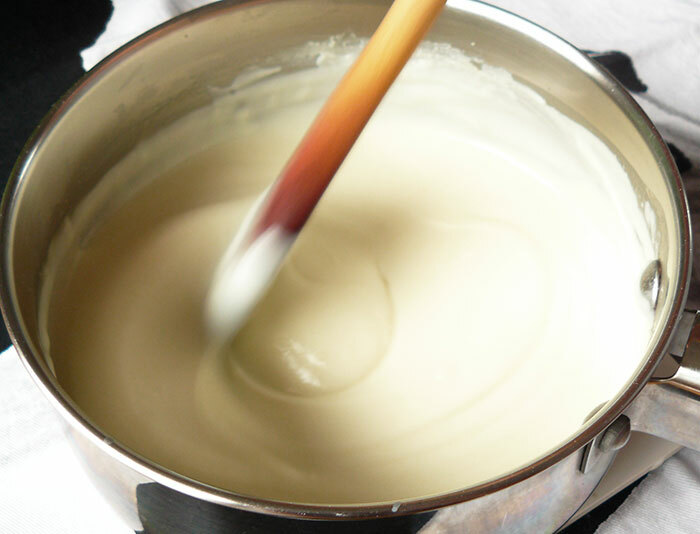 To make the bechamel: in a clean pot, melt the butter and wait until it bubbles/sizzles slightly. Add the flour and stir while it bubbles and sizzles to cook the roux. Add the milk, whisking vigorously to prevent lumps from forming. Cook the mixture over medium to medium-high heat until the sauce thickens and bubbles. Add grated nutmeg and salt to taste. Whisk in the mascarpone. fresh parmigiano reggiano cheese (do NOT substitute pre-grated cheese!!!). To cook the noodles: bring a large pot of salted water to a boil. Cook 4 lasagna noodles at a time, about 4 minutes each to par-cook. To assemble the lasagna: layer the ragu, noodles, bechamel, and freshly grated parmigiano reggiano in a large, oven-safe casserole dish. Begin with a thin layer of ragu (enough to just cover the bottom of the dish). Layer noodles (one noodle thick) atop the ragu. Add another layer of ragu (a good, thick portion so that the noodles no longer show through.) Atop the ragu, add a layer of bechamel sauce. Atop the bechamel, add a layer of freshly grated parmigiano reggiano and a sprinkle of sea salt. Repeat this process until the dish is nearly full. Be sure not to skimp on the layers of ragu and bechamel; the idea is to create a thick, gooey layer between each noodle. You should wind up with only about 3 layers of noodles. The final, top layer should be bechamel sauce with plenty of parmigiano grated atop it and sprinkled with sea salt. Place the lasagna into a preheated 375 degree oven and cook until the dish is bubbling and the cheese on top is beginning to brown (about 45 minutes). Any exposed pasta edges should be crisp. After removing from the oven, let the lasagna rest about 10 minutes (if you can bear it). 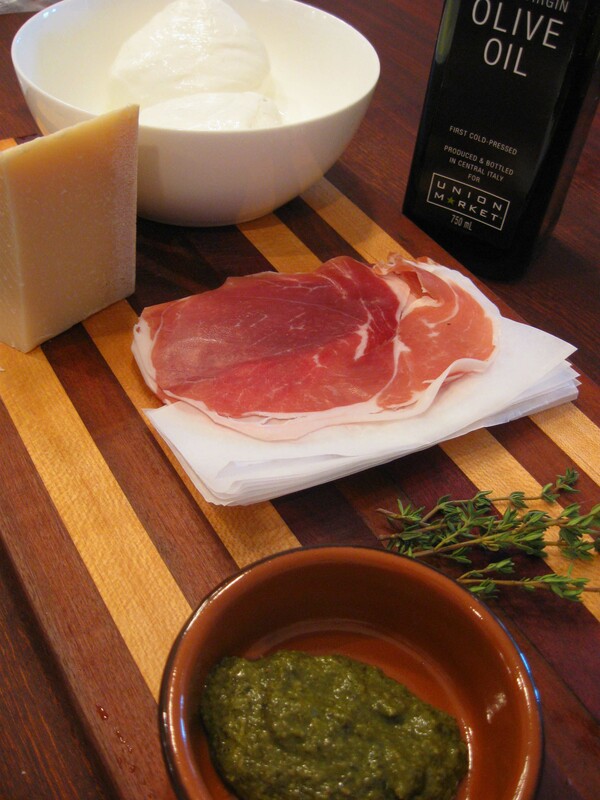 Serve with wine (to cut the richness) and a simple salad. 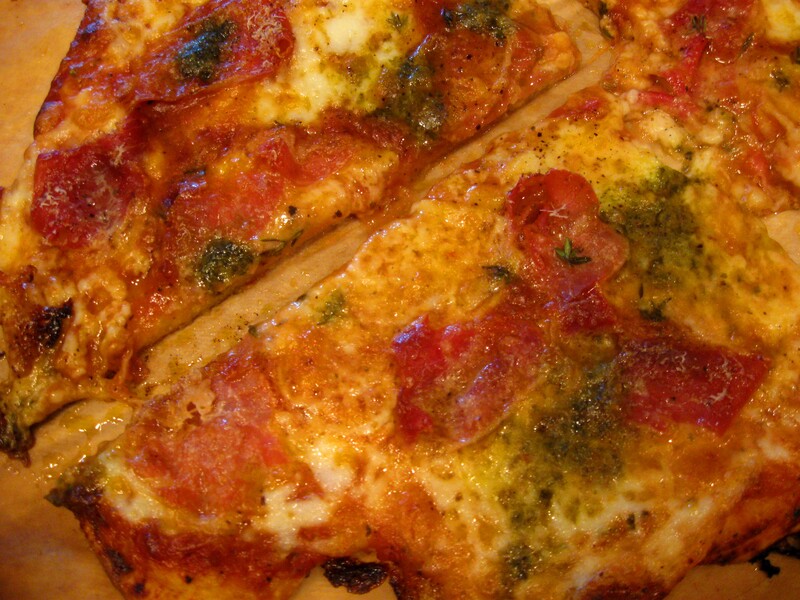 Second in my “food for thought” series, I offer a recipe and instructions (that even the most timid cook can follow) to prepare delicious homemade pizza. For this recipe, the dough (though easy to assemble) takes an hour to rise — the perfect amount of time for a quick session of writing or editing! The first thing to do is make your dough. Everyone seems so intimidated by the idea of making homemade pizza dough, but its honestly incredibly easy. Step 1: preheat your oven about as high as it will go – 475 is good. If you have a pizza stone, be sure it’s in the oven heating up too. You want the oven preheating for at least an hour to get good and hot. Step 2: get out a nice, large mixing bowl and put 1/2 cup of hot water in it. Sprinkle 1/2 a package of active dry yeast onto the water and let it sit until dissolved (a few minutes). 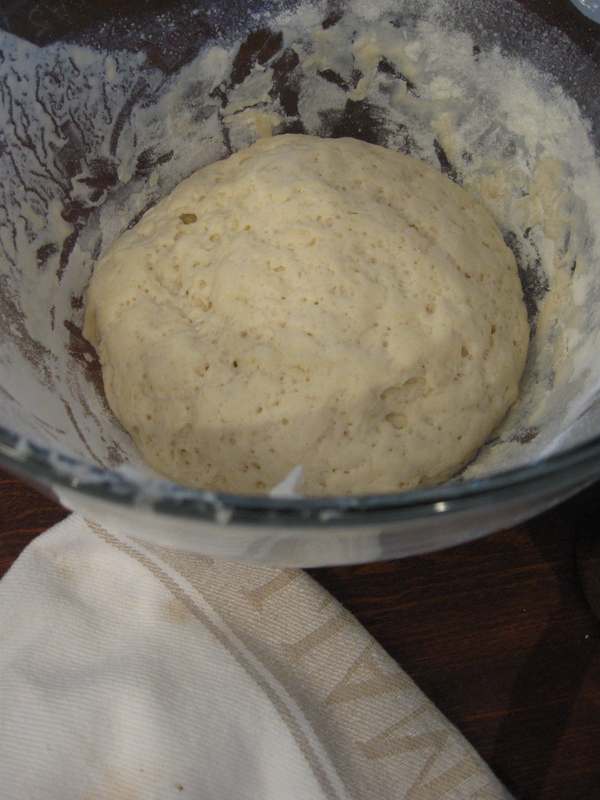 Swirl to incorporate the yeast and water. Then add 1/2 tsp sugar, 1/2 tsp of salt, 1/2 cup flour, and 1 tbs olive oil. Using a large, wooden spatula (or other favorite stirring device), stir these ingredients until wet, shiny, and smooth. Gradually incorporate another 1 cup of flour. The mixture should grow denser but still remain sticky and pliable. Turn the mixture out onto a floured surface and kneed 2-3 minutes, adding additional flour as needed to keep the mass of dough soft and stretchy. Spill a bit more olive oil back into your dirty mixing bowl, drop in the ball of dough, turning to coat, then cover it up with a towel and leave it in a warm spot (perhaps near your preheating oven) for 1 hour to rise. While the dough is rising, go write! Step 3: peek at the dough. It should have doubled in size. Punch it down and give it a few turns on the floured work surface to get it pliable again. Get out a sheet of parchment paper, sprinkle it with a little flour, and roll the dough out on top of the parchment. I like to curl the edges of the dough up a bit so the sauce doesn’t run out. Easy! Now you’re ready for toppings. Step 4: Sauce. You can buy pre-made pizza sauce. It’s fine. You can also make your own very easily. Run open a can of tomato sauce and pour it into a saucepot (I like to do this while the dough is rising). Add some olive oil, salt, a tsp of sugar, and assorted dried herbs: oregano, basil, fennel seeds, and crushed red pepper. Stir it up over medium heat. Taste it. Adjust to your liking. Boom. Done. Spoon sauce onto the rolled dough and spread it around with the back of a spoon. I like a thin but not pathetic coating. If you like a lot of sauce, then put on a lot of sauce. It’s your pizza! Step 5: Toppings. Okay, gospel from me to you: buffalo mozzarella. Use this stuff. It’s like a present from god, I swear. Way better than regular mozzarella (though the later will certainly work if you can’t get your hands on buffalo mozzarella). Slice off some pieces of the mozzarella (you’ll need about 1 large ball per pizza) and space them out across the dough (they’ll expand a little as they melt). As for the rest of the toppings, the sky is the limit. My favorite combination is Speck (smoked prosciutto), little dribs of pesto, and caramelized onions (for the latter, save a bit of the reduced onions from your French Onion Soup preparations). Artichoke hearts and goat cheese are a nice combination. So are spicy Italian sausage crumbles and onions (and red pepper!). When you’ve finished topping the pizza, be sure to grate a layer of fresh Parmesan cheese on top, sprinkle with kosher salt, fresh thyme leaves, and grind with fresh pepper. Step 6: Baking. If you’re using a pizza stone, you’ll need a pizza peel to transfer the pizza on parchment into the oven. These items might seem like expensive, specialty goods…but once you become addicted to making pizza, you’ll want to do it all the time and having a stone & peel will be a good investment. While a pizza stone is the best way to end up with a crispy crust, if you don’t own one, you can use a regular pizza pan or cookie sheet just as well. Carefully slide the parchment onto the pizza pan/sheet and put it in the oven. You should cook the pizza at a very hot temperature (at least 400, 475 is better) for 14-16 minutes to allow the crust to get crispy and everything on top to get bubbling and awesome. You can eat the pizza with a salad, but really…pizza stands alone in its awesomeness and needs no accompaniment. Bon Appetit – and please let me know if you try the recipe!